Added by Gwendolyn Escodavis on February 6, 2019. One of my most treasured activities was sailing a boat up and down the bodies of water surrounding Michigan. 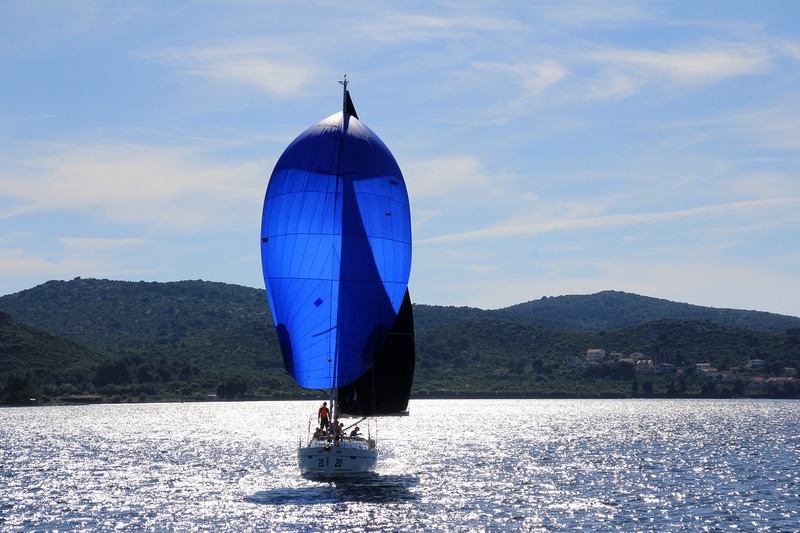 In sailing, it takes everything you’ve got, your inner strength, to make it rewarding. Your reward is being on the water in peace and in silence with the movements of the waves and the open skies. Sailing a boat calls for quick action, a blending of feeling with the wind and water as well as with the very heart and soul of the boat itself. Sailing teaches alertness and courage and, gives in return, a joyousness and peace that but few sports afford. There are times the sail is smooth, and there are times the wind is too strong or not at all. Then, you adjust the sails to become balanced and steady with the currents and the winds. A body of water gives many of us a sense of connection to the greater universe, a connection to our heart center. We feel with our heart, emotions are from the heart, fear is from the heart –- not the mind. The center of our personal inner universe is the heart. When we are in a state of inner peace, it is the heart that we are lead by. As in life, when the wind blows in an adverse direction in an unwavering current, we take action and adjust our sails, putting our heart and soul in the effort. Whatever happens, you work in all earnest for the re-adjustments and then ride the waves as you are heading for a clear navigation point. The undercurrent of the Detroit River is unforgiving. It takes a highly skilled person to navigate it safely. Sailors track back and forth on the waters. Going in a direct straight line is nearly impossible. Being a good sailor depends on how we handle crises, how we handle mistakes we have made, how we absorb our invaluable knowledge and sense of skills –- such as the depth of what our understanding brings — then we might still miss the mark. Our life is never a straight line. We must track sideways, back and forth and sometimes backward to get to our destination. Thus, all along it is not the destination that gives us subsistence, but it is the voyage that is everything. It is knowing that our stabilizer is the anchor, and the anchor is the heart and soul of the sailor. Our internal anchor stabilizes the undercurrents of our daily life. On our voyage of life, many times in order to stabilize, we must drop anchor until the waters calm; or, we can adjust our sails to balance and remain steady.